No Mans Sky is an Adventure, Sci-fi and Open World game for PC published Hello Games in 2016. Enter an endless universe full of adventures. There are thousands of randomly-generated worlds on the galaxy that you can explore during this game to start adventuring there. At the centre of the galaxy lies a irresistible pulse which draws you on a journey towards it to learn the true nature of the cosmos. But, facing hostile creatures and fierce pirates, you’ll know that death comes at a cost, and survival will be down to the choices you make over how you upgrade your ship, your weapon and suit. Your voyage through No Man’s Sky is up to you. Will you be a fighter, preying on the weak and taking their riches, or taking out pirates for their bounties? Power is yours if you upgrade your ship for speed and weaponry. Or a trader? Find rich resources on forgotten worlds and exploit them for the highest prices. Invest in more cargo space and you’ll reap huge rewards. 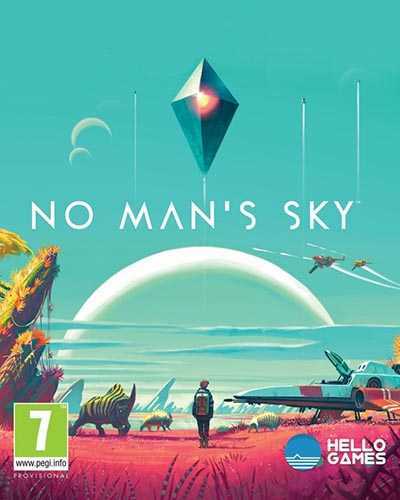 9 Comments ON " No Mans Sky PC Game Free Download "
Hey Ali, although most people would figure out that you have to put the contents of the crack file in the game files, I would still recommend you put instructions to do this. No idea currently how to run this, tried many things. can someone please message instructions on how to run it? cheers!